An international group headquartered in the North West, delivering high precision engineered and power transmission products to its customers, embarked on a major site closure in the UK. 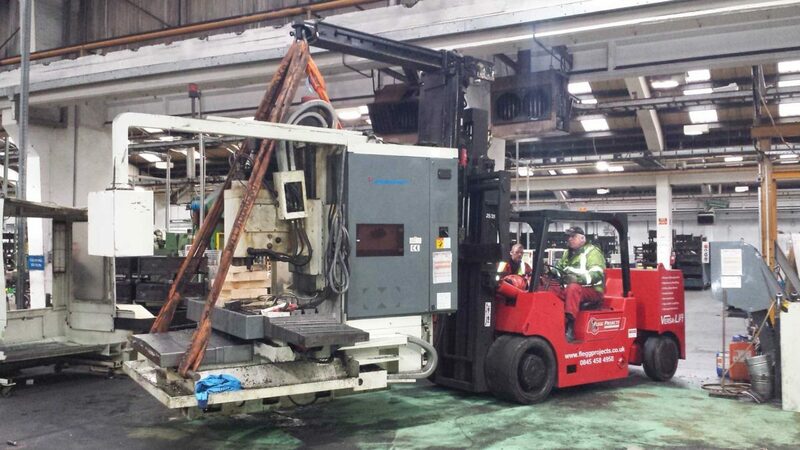 This involved removing over 300 metal production machines and despatching them to other locations in the UK as well as locations in the United States, Asia and Europe. 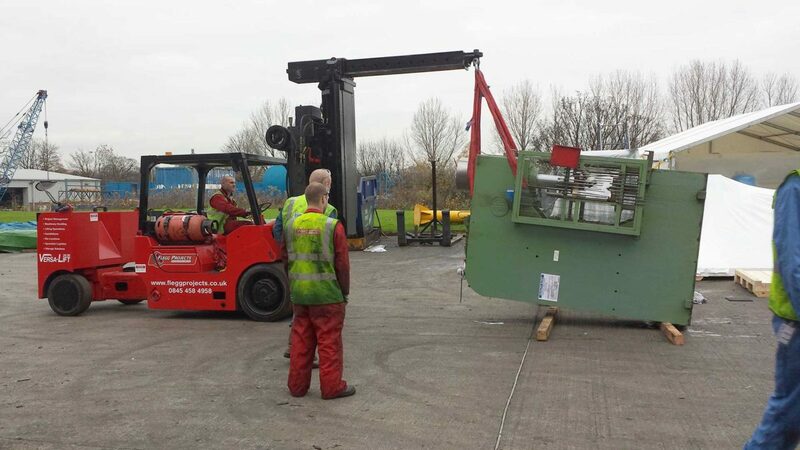 The challenge presented to Flegg Projects was to remove all 300 machines – a major task, with one lift alone weighing 73,000kgs. No mean feat but a challenge relished by Flegg Projects’ planning team, knowing that their experience and lifting equipment would be up to the task. Following a site inspection, and using their established project planning process, Flegg Projects provided engineers at the client’s UK donor site, ready to prepare the machines for their onward transit. Mechanical and electrical skills were required by the team to dismantle, clean and pack up the machines ready for exporting. When the machines were ready to move, the Flegg Projects crew used versalifts, a mega-lift gantry, counterbalance forklifts and MEWPS to extract, load and secure the freight onto vehicles and containers. They also arranged for the road-transport, including abnormal loads, for the movement within the UK and to their freight forwarder, for transporting outside the UK. Within the UK, Flegg Projects offloaded and installed the machines as well as provided crews in Europe to offload and position in their new locations. Devised and successfully implemented in phases over a duration of 14-months, this multi-faceted removal programme went according to Flegg’s project plan and within the agreed budget. The client was delighted.